A 11 day pre festival music concerts are held by Narada Gana Sabha from Dec. 1, 2015 to Dec. 11, 2015. The concerts will be at the mini hall of Narada Gana Sabha. 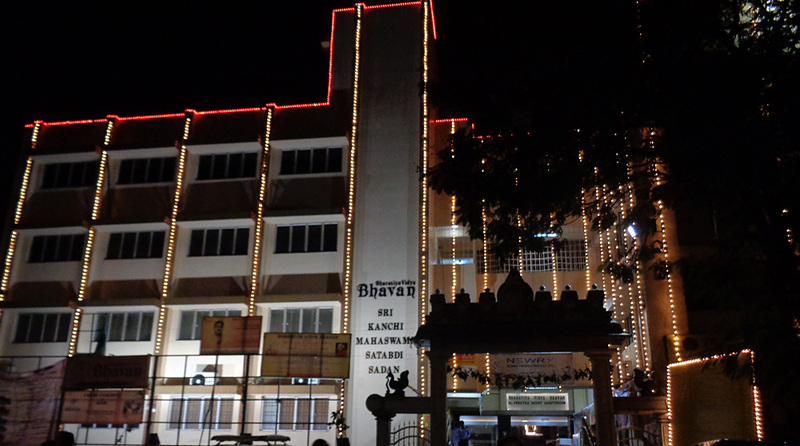 The 64th year art festival of The Mylapore Fine Arts Club will be held from Dec. 9, 2015 to Jan. 1, 2016 followed by dance festival running till Jan. 17, 2016. The concerts at 9.20 a.m., 12 noon and 1.30 p.m. are open to all and not ticketed. 7.15 p.m. - Bharathanatyam by Smt. Shrada Vinod - Disciple of Smt. Srekala Bharath . 5.45 p.m. - Bharathanatyam by Smt. Sowmya Rajaram - Disciple of Smt. Savithri Jagannatha Rao, Sri. Sheejith Krishna & Bragha Bessel. 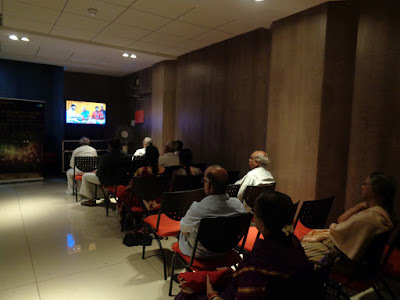 Since last year, Maximum media has been hosting Margazhi Maha Utsavam independent of Jaya TV as it used to be in the past. 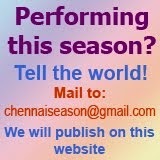 This year, the telecast of the concerts is supported by Sun TV. The live concerts that start from Dec. 1, 2015 are free for public and the telecast on Sun TV will begin from Dec. 14, 2015. Seats on first-come-first-serve basis. The 115th year music festival of Sri Parthasarathy Swami Sabha will be held from Dec. 13, 2015 to Jan. 1, 2016 followed by a Global Music Festival till Jan. 4, 2016. 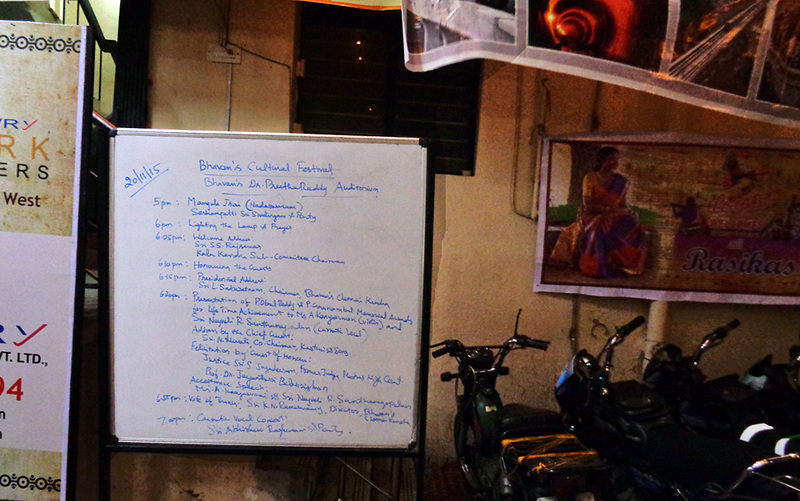 Venue: Vidya Bharathi, 55, Bheemasena Garden Road, Mylapore, Chennai - 4. Phone : 2499 7269 / 2499 1248. 5.00 p.m. - Carnatic Music Choir presented by Students of Dr. Sudha Raja. Conceptualised by K.N. Shashikiran. 6.00 p.m. - Inauguration & Conferring the Awards by His Holiness 108 Sri Subudhendra Thirtha Swamiji of Sri Raghavendra Swamy Mutt, Mantralayam. 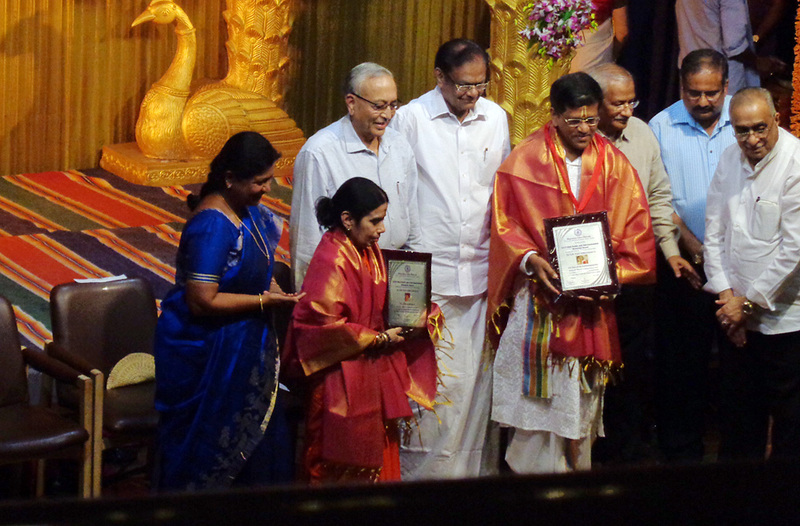 'Sangeetha Kalasarathy' - Priya Sisters - Shanmukhapriya and Haripriya. 8.30 a.m. - Lect. Demo. : Rasanubhava - Emotion of Compositions with reference to Sangeetham and Sahityam by Dr. Pantula Rama & M.S.N. Murthy. 8.30 a.m. - Lect. Demo. 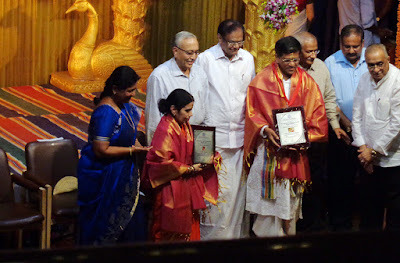 : Layanubhava : Innovative approach to Swarakalpanas and Pallavi Structure by Abhishek Raghuram and Kunnakudi Balamurali Krishna. Concept : K.N. Shashikiran. 10.00 a.m. - Amrutha Murali (Vocal), Dr. R. Hemalatha (Violin), Manoj Siva (Mridangam), N. Guruprasadh (Ghatam). 8.30 a.m. - Lect. Demo. 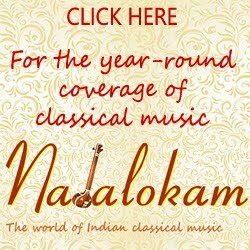 :Vageeyakara Vaibhavam : Badrachala Ramadasa’s Compositions and Narayana Thirtha Tharangams by Malladi Brothers & Disciples. Global Music Fest at Vidya Bharathi, 55, Bheemasena Garden Road, Mylapore, Chennai - 4. 10.30 a.m. - Rajhesh Vaidhya (Veena), Karukurichi N. Mohan Ram (Mridangam), Lalgudi Sriganesh (Mridangam), Sai Hari (Ghatam), Tenkasi H. Paramasivam (Kanjira), Karukuruchi N. Subramaniam (Spl. Effects). Bharatiya Vidya Bhavan's long inaugural function was followed by a relatively short concert by Abhishek Raghuram. Accompanying him were B.U. Ganesh Prasad on the violin and Sumesh Narayanan on the mridangam. Abhishek took sometime to fix his own mic and adjusting 'sharp' and 'gain' of the sound system.A senior couple in the balcony related this process to the AIR balancing before the National programme. 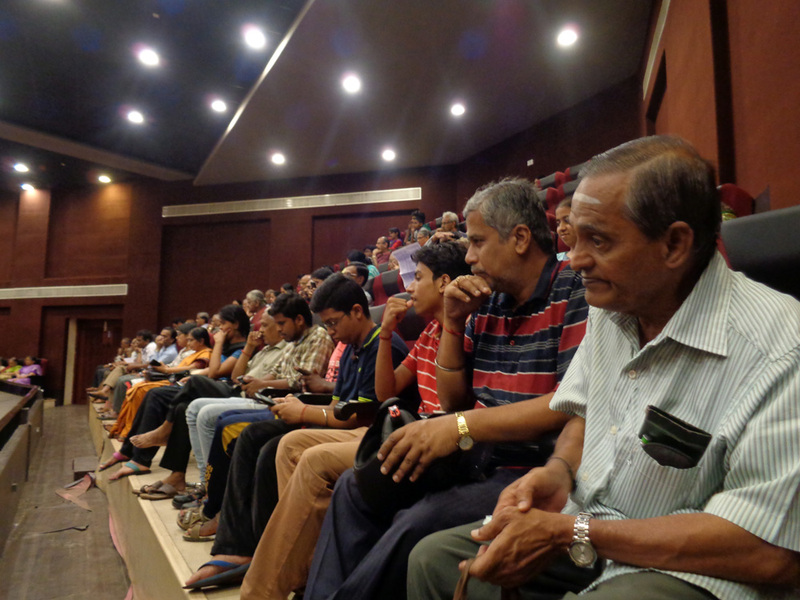 They might have been among the invited audience at the All India Radio! Who said Thevarams come after the main piece in concerts? They could begin the concert too. Abhishek began with 'Vaananai madhi soodiya mainthanai' in Keeravani, which set a steady tempo for the concert. The couple again remembered this theveram they heard in the 'Isai Payirchi' programme on the radio years ago. "Was the teacher T M Thyagarajan or S Kalyanaraman?" they wondered. Abhishek has been singing this theveram for a few years now in concerts. 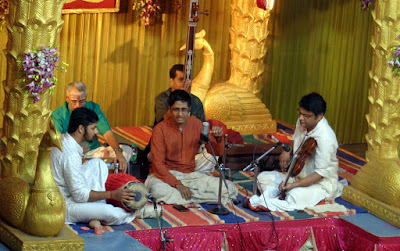 After a free-flowing short outline of Devagandhari raga, Abhishek took up 'Vinarada na manavi,' one of the Sriranga Pancharatna kritis of Thyagaraja. After the swift presentation, a grand alapana of Pantuvarali followed. Sprinkled with unique phrases, the raga elaboration was a treat to a serious rasika. 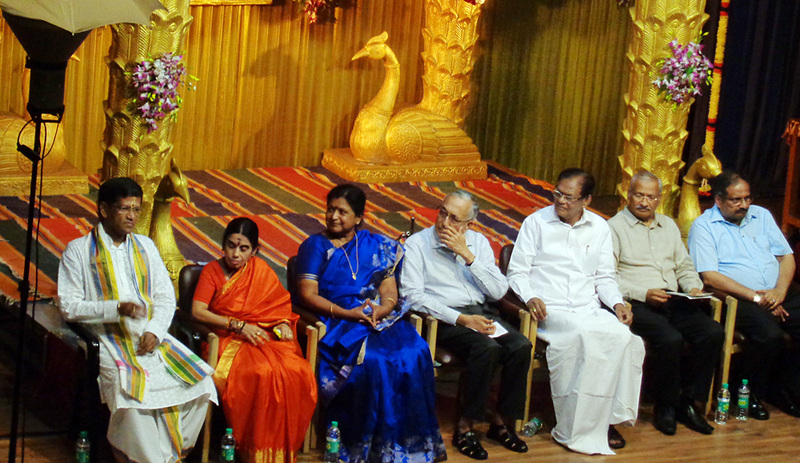 'Saramegani,' another Thyagaraja's composition followed. As in practice, Abhishek took the last charanam among the three charanams the kriti has, with niraval at 'Sama gana loludau.' The violin session by Ganesh Prasad was equally commendable. 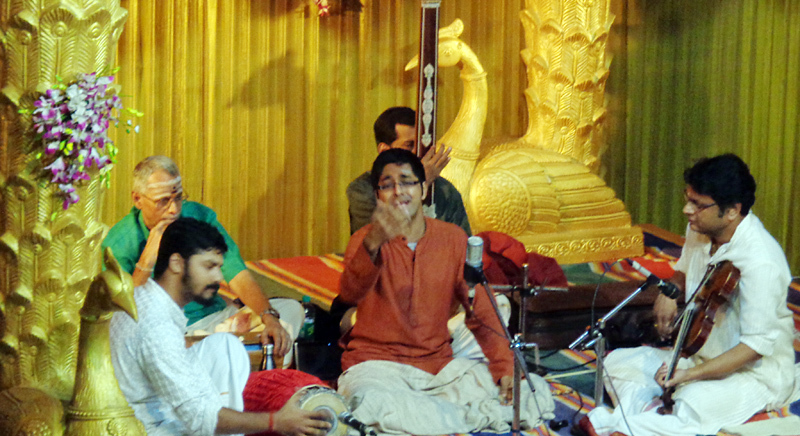 Much to the surprise of many in the audience, Abhishek began another elaborate raga alapana in Devamanohari followed by a tanam and a pallavi. Yes, it was a lovely time with the lyrics 'idi manchi samayamu Devamanohari' as pallavi in Khanda Chapu in tisra nadai. He brought in Kamala Manohari raga too. Sumesh Narayanan kept up well with the nadai and kanakku that Abhishek is very good at. Concerts are open to all and not ticketed. The popular TV show during December is recorded earlier through live concerts and the concerts will be telecast on Jaya TV from Dec. 16 onwards.